BMS Transport’s office removals service has been assisting businesses of all scales based in South London in moving from one office, to their next one. We understand that moving offices can be difficult and will undoubtedly present different circumstances when relocating. Between our removal surveyors, move manager and removal team, we will manage the whole removal project whatever the particular circumstances may be. Our expertly trained & friendly staff understand the difference between home removals service and office removals service and so we have a dedicated team that will tailor a move specific to every job – hence putting a smile on your face every time. Plan in advance: Depending on the complexity of your IT systems, the size of your office and the amount of furniture you need to move, begin planning at least 12 weeks in advance. Create a list of tasks, the date they need to be carried out and by whom. Prepare the workforce: Let your team know in advance so they will feel prepared for the big day. It’s a big change for them as well as for you. They need time to prepare themselves and factor in possible extra transport costs, along with starting to organise their belongings. Maintain productivity: Adopt a ‘business as usual’ approach. If you are organised, there’s nothing stopping you carrying on with work right up until the move. Update your details: Make sure that all current and potential clients / customers know you are moving premises. Get your business cards updated, along with the contact details on your website and social media profiles. You may think that’s pretty obvious but in the chaos of moving, it can be overlooked. Delegate tasks: Clearly delegate responsibilities to different staff members or department managers in advance of the moving date. Many hands make light work. Prioritise: Larger, more valuable items may need to be transported before others. 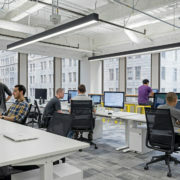 And setting things up like your IT system and phone-lines means your employees can begin working in your new premises as soon as furniture is relocated. Label furniture: Make sure that all furniture is appropriately labelled to correspond with its intended location and, if necessary, the staff member that it belongs to. Any boxes should also be labelled to indicate their contents.Choose different colours of labels for each workstation or office to identify quickly and easily where each item will be located. Follow the floor plan: Before you move anything, grab the floor plan and start measuring items. Where is everything going to go? Will it fit? And what about the number of power points? You don’t need to be daunted by the thought of downsizing. 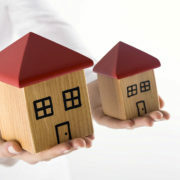 There comes a time when most people’s lifestyles change and their current home no longer suits their needs. When children ‘grow-up’ and move to university or into their own family home, their unused bedrooms often become storage spaces. Write a list of the items you cannot live without; then consider clearing out the rest. Three months before you plan to move, begin clearing out jam-packed cupboards and overflowing drawers. Measure your new rooms and compare them to your current house. Is their enough space to comfortably house your furniture? If not, it needs to go. If you have a garage or shed, begin here. They can then be used as storage areas when you pack away belongings from the house. Do you need 20 cups and saucers, pots and pans? Clear out the excess. If you’re struggling to decide what should stay or go; for the average downsize, keep only one-third to one-half of your belongings. When you’re ready to pack, keep organised by labelling by room; use a coordinating colour sticker or label numerically. Read our packing tips blog for more inspiration. Many of our customers tell us that packing is a headache they would prefer to avoid as it can be time consuming and requires a degree of planning if done properly. Our staff are experts in this area and we can guarantee the job will be done cleanly, swiftly and most importantly leaving your valuables in one piece. We can provide short or long-term storage for your household items in a clean and secure facility. If you have a space of time between moving from your old home and moving into your new property, we can store your items during this time. When your new property is ready, we can bring your items out of storage and continue with your move.